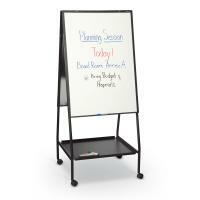 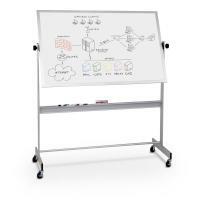 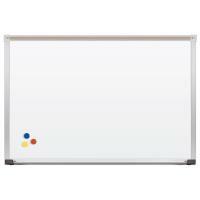 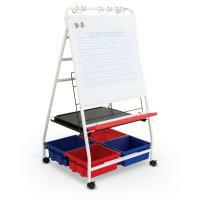 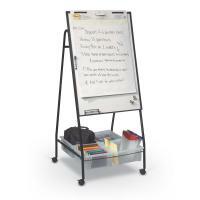 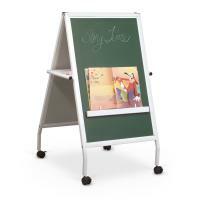 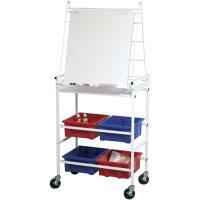 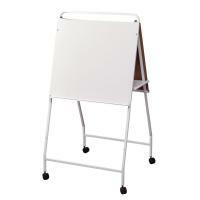 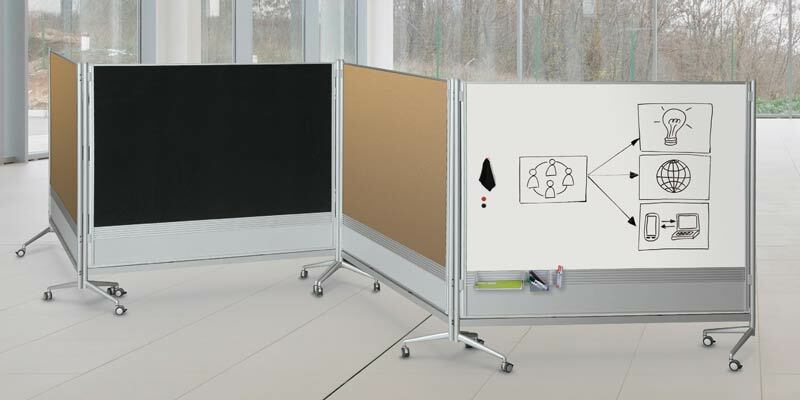 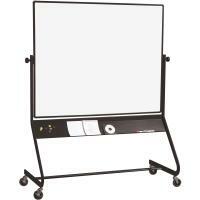 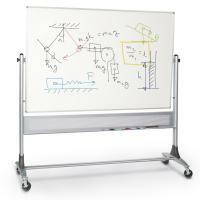 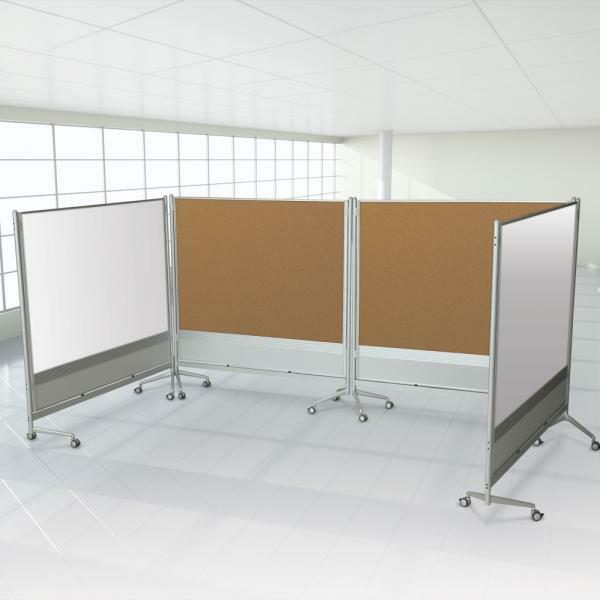 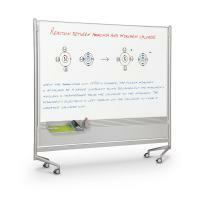 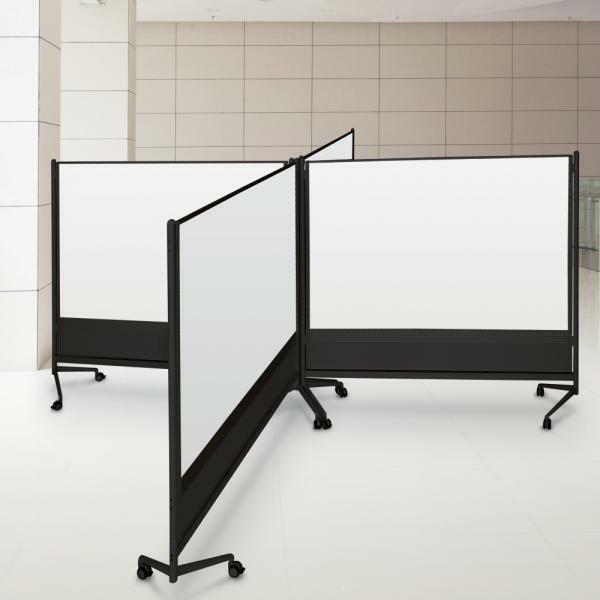 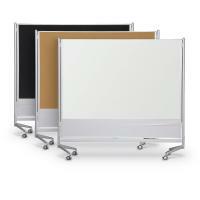 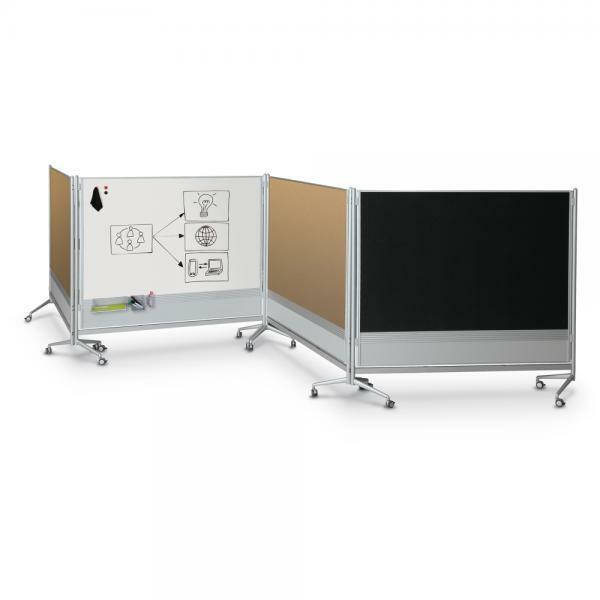 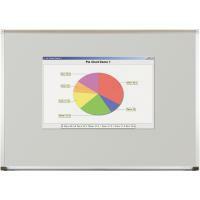 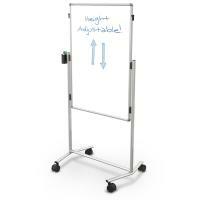 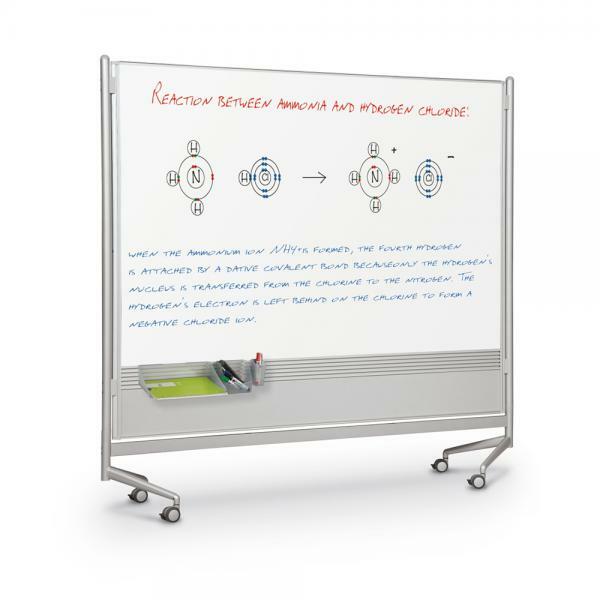 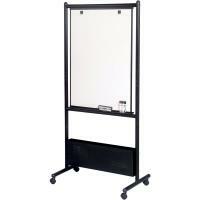 Mobile double-sided dividers come in a variety of surface combinations, including porcelain steel magnetic whiteboard, Evolution projection surface, Dura-Rite HPL whiteboard, natural cork, hook and loop, and decorative laminate. 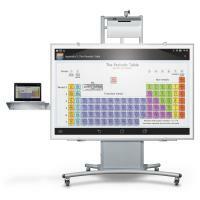 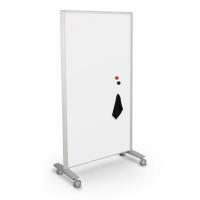 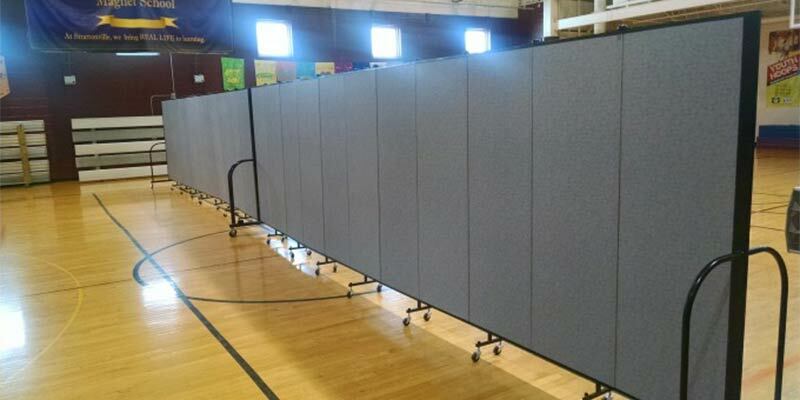 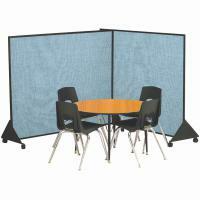 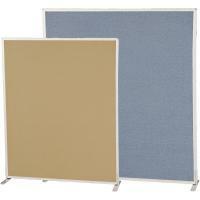 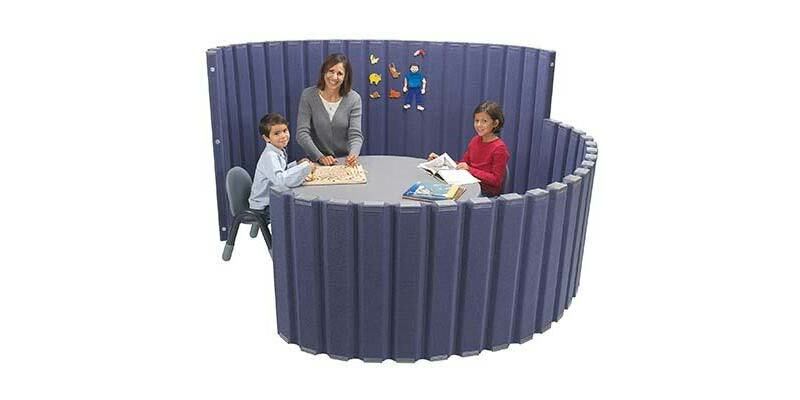 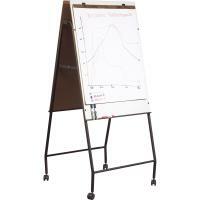 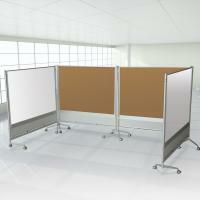 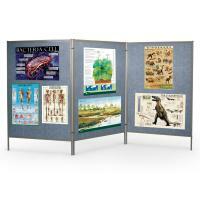 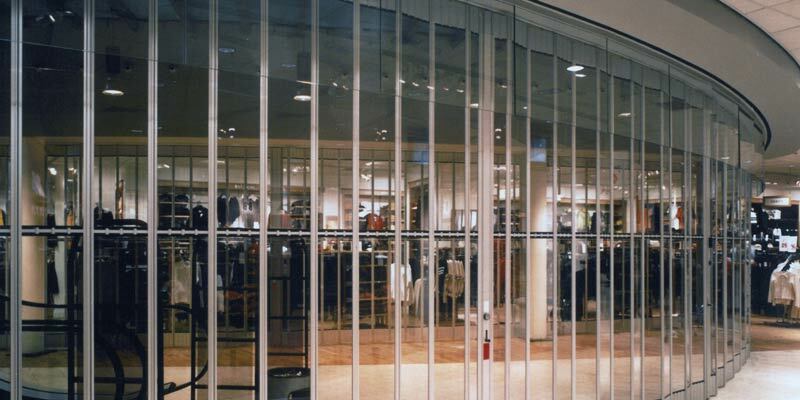 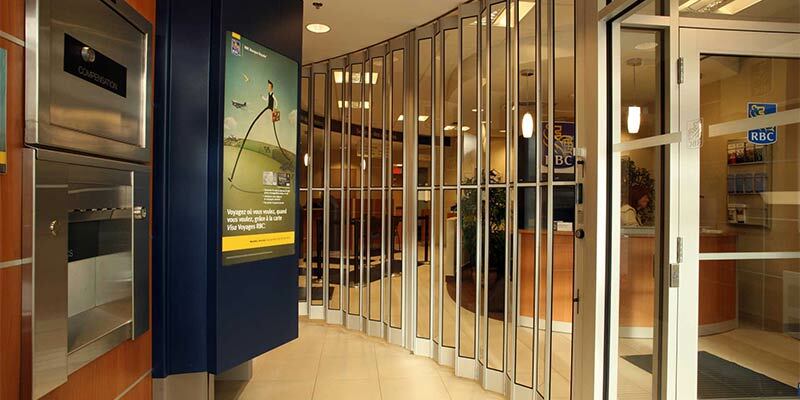 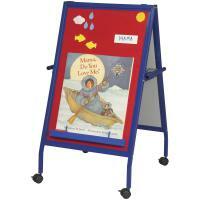 Three panel sizes available: 6'H x 4'W, 6'H x 6'W, or 6'H x 8'W for maximum configuration flexibility. 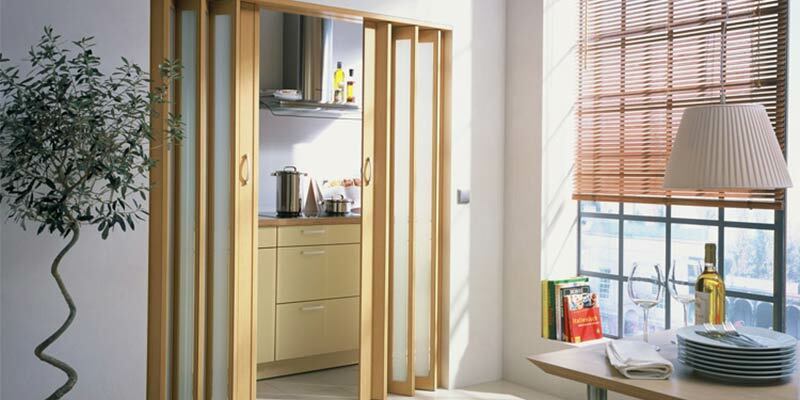 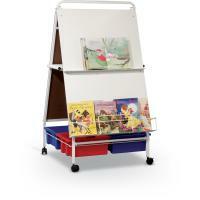 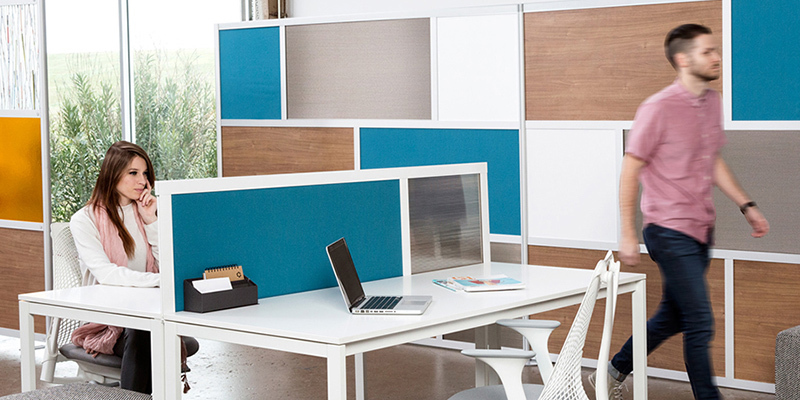 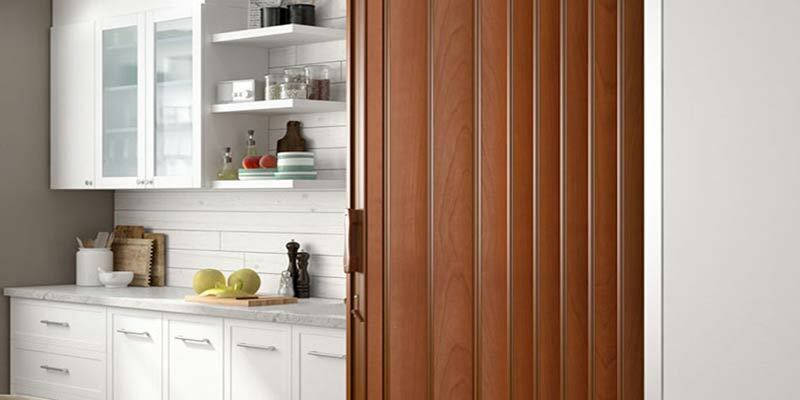 Panels are trimmed in modern anodized aluminum, include a slat panel for optional accessory trays, and include locking casters. 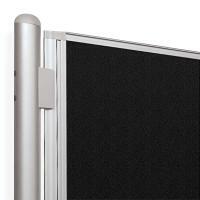 Black trim available in 6'H x 6'W panel with Dura-Rite surfaces. 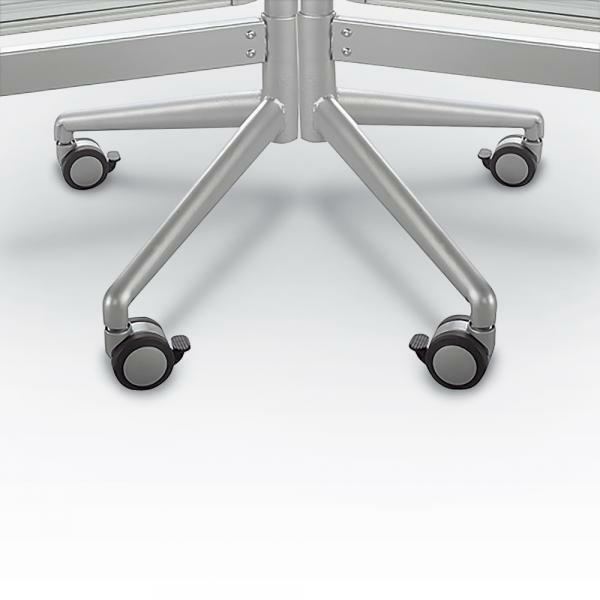 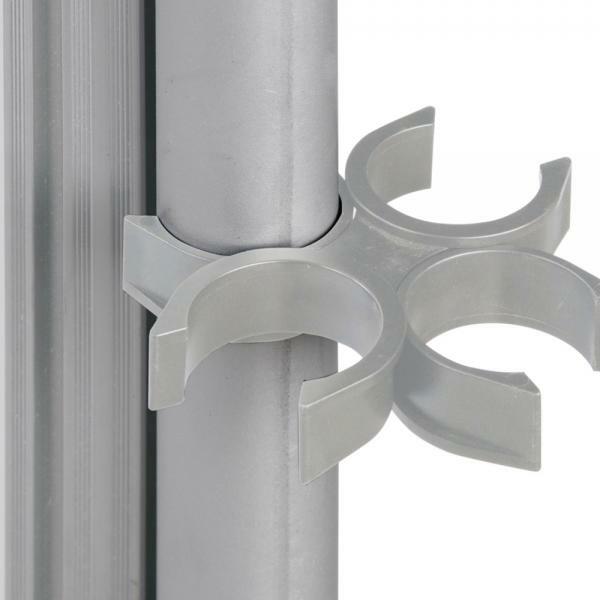 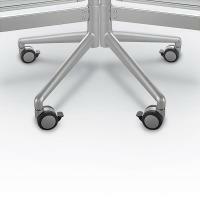 Leg design minimizes gapping, and connectors are available to join panels at 90° or 180° angles.